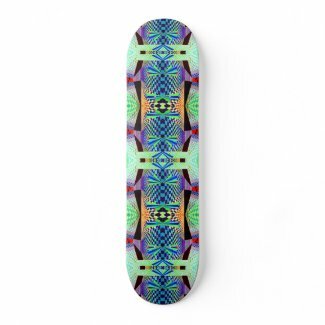 Just made this one and a skateboard with a smaller part of the board covered using this design which allows the wood of the deck to show around it – both turned out interesting . . . I changed the way the descriptions are done on the products having decided that speaking in the third person about myself in them was driving me to distraction and not very effective no matter what businessy sales books say about it. I like it better now, but haven’t changed all the boffo ones that were done the other way. Makes it more interesting to read anyway . . .